Many people want to learn to tap dance. And many want to learn to improv in tap dance. 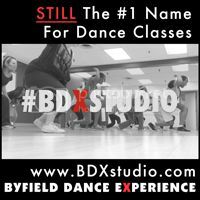 The first situation is easy: find a tap dance class with a reputable teacher. But how do you do the latter- improvisation? Start with a step you like, and play around with it. Dabble. Add a shuffle. Find a rhythm or groove in your head, and try to recreate that groove with your tap feet. Do your favourite tap step on one foot, then reverse the whole thing. Tap with a buddy, and challenge each other to repeat each others steps in real time. I call this “Monkey See, Monkey Tap”. Like everything else in life, you have to go through a learning curve. You won’t just wake up one day and be able to tap dance like a pro. Improv especially doesn’t come naturally. 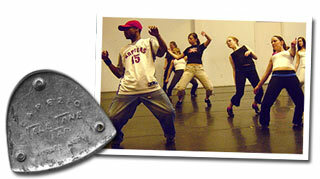 Tap dance classes help build your VOCABULARY of tap dance. Each tap step is a word. Those words make sentences. Once you understand what the words mean, then you can work on phrasing those tap dance steps together. Ya dig? This is just a short tap post. I wanted you to know, tap dance improv requires a bit of time. I’ve been hoofin (tap dancing) for years, and I STILL need to work at it. That’s why we put the “E” in “IMPROV…E”. Nobody’s perfect. We ALL need to keep seeking out new tap steps to trade, new music to groove to, and new ideas or inspiration. Lemme know how it goes. Happy tappin! ← Toronto Needs Tap Dance Studio Space! what surface are you tappin on there Shawn B? Happy 2009 Becca! I’m tapping on a rare portable, oak tap board. I say rare because the fellow who built them doesn’t make them anymore, unfortunately.